I consider myself very fortunate to have crossed paths and worked with John and JG Web Designs. John's knowledge and expertise was an integral part of making createdbydzyn's vision a reality. His patience, insight and thoroughness from the onset of the project, all the way to launch date will always be appreciated. I without a doubt recommend JG Web Designs for those looking for someone with an excellent skill set and who can provide you with a fresh and personable approach to customer service and follow through. JG Web Designs far exceeded our expectations for our new business web site. They were very professional, knowledgeable, and patient as they guided us through the process. We highly recommend their service. We enjoyed working with JG Web Designs. John did a great job of asking us questions to understand our business niche. Our website has been very well received by our customers and has proven to be an excellent tool for our prospective home buyers. 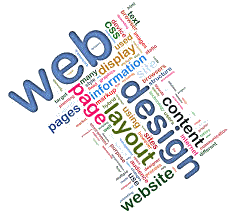 I would recommend JG Web Designs for anyone looking to create a new website or enhance an existing one. Sharon M. - Vintage by Design Builders, Inc.